Bone loss isn’t as visible as fat loss, but it’s a pretty well-documented side effect of weight loss. And resist the temptation to discount it just because the consequences aren’t immediately obvious: bone loss is a huge cause of broken bones, hospitalization, and death later in life. Exercise in addition to a weight-loss diet helps prevent bone loss, but can’t stop it completely. This study in overweight men did find that an exercise-only weight loss strategy didn’t cause any loss of bone density, but subjects in that group also lost less than half as much weight (2.6 vs. 6.4 kilograms) as subjects who dieted. Lose weight at a moderate pace, not super fast. In short: eat your dark leafy greens (or dairy, if you do dairy), go out in the sun some, and do some strength training – not because it burns a lot of calories, but because nobody wants to be in a wheelchair before they have to be. As a side note, this study suggests that carb reduction doesn’t have any advantages over fat reduction, but it also doesn’t have any real disadvantages. So for the low-carb or keto folks, you likely don’t have anything more or less to worry about than anyone else. It’s not a problem that hits the headlines regularly, but weight loss, especially rapid weight loss, has been linked to a higher risk of developing gallstones. Gallstones aren’t always symptomatic, but when they are, they can be very painful and cause serious complications. As this review explains, after 8-16 weeks of low-calorie dieting, around 10% of people develop new gallstones. After one and a half years, that goes up to 30%. It’s particularly bad in people who lose more than 1.5 kg (3.3 lbs) per week. When people stabilize at their new, lower weight, the gallstones sometimes go away on their own, but not always. Luckily, there’s a very delicious, Palo- and keto-friendly solution to this problem: eat more fat. This meta-analysis found that high-fat diets were significantly more protective against gallstones than low-fat diets, during weight loss. Exercise: probably better for your health than 90% of things you’ll find in pill bottles. Speaking of things that you don’t want to lose along with your fat: muscle. On typical diets, muscle accounts for 20-30% of the weight lost. That’s a big problem since losing muscle is bad for your metabolic health, bone health, ability to maintain your lower weight, and immune system. For men, keeping muscle mass also helps preserve testosterone levels, which can otherwise drop during weight loss. The solution: just like with bone loss, the best way to avoid this is to get off the couch. This review noted that with exercise (aerobic, resistance, or both), the average loss of fat-free mass is much lower, between 10-20%. And yes, getting enough protein is also helpful, although it might be less than you think – here are some basic Paleo nutritional guidelines for keeping your muscle mass. 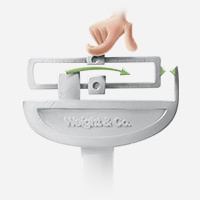 To put it differently, imagine you start off at 300 pounds and lose 75 pounds to hit 225 as your lowest weight. Then you regain all 75 pounds and finally hit 300 again. Even though your weight is the same, you’ll likely be in worse metabolic health the second time at 300, because more of your fat will be visceral fat. That’s one reason why yo-yo dieting is so dangerous. The way to prevent this is simple in theory but very hard in practice: proactively plan ahead to prevent major weight regain. You can’t regain visceral fat if you don’t regain much fat at all. Unfortunately, the vast majority of dieters do end up regaining weight: have a plan for dealing with stalls and regains so you can make sure this isn’t you! It also helps to think now about what you’re going to do after you hit your goal weight. Persistent organic pollutants (POPs) are dangerous chemical pollutants that don’t break down easily. They’re everywhere and you can be exposed to them through food and water, dust, air pollution (for example, from burning trash), and all kinds of other sources. In fact, POPs might be one reason being overweight is sometimes associated with a lower risk of death than being a normal weight: because fat tissue provides a relatively “safe” storage place for POPs, it keeps them out of other places (like your liver) where they do even more damage. Lose the weight, and you lose your safety net. So what to do? This study suggested that among other changes, POPs might be dangerous because of their pro-inflammatory effects. That’s a hint that an anti-inflammatory keto or Paleo diet (full of antioxidants, healthy fats, spices, and other anti-inflammatory whole foods), might be the right track to go down. Have you noticed any other downsides to weight loss? 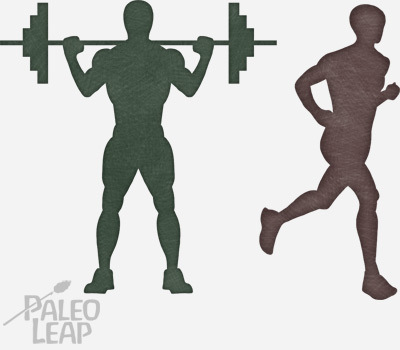 How did you tweak a Paleo or keto diet to deal with them? Let us know on Facebook or Twitter!